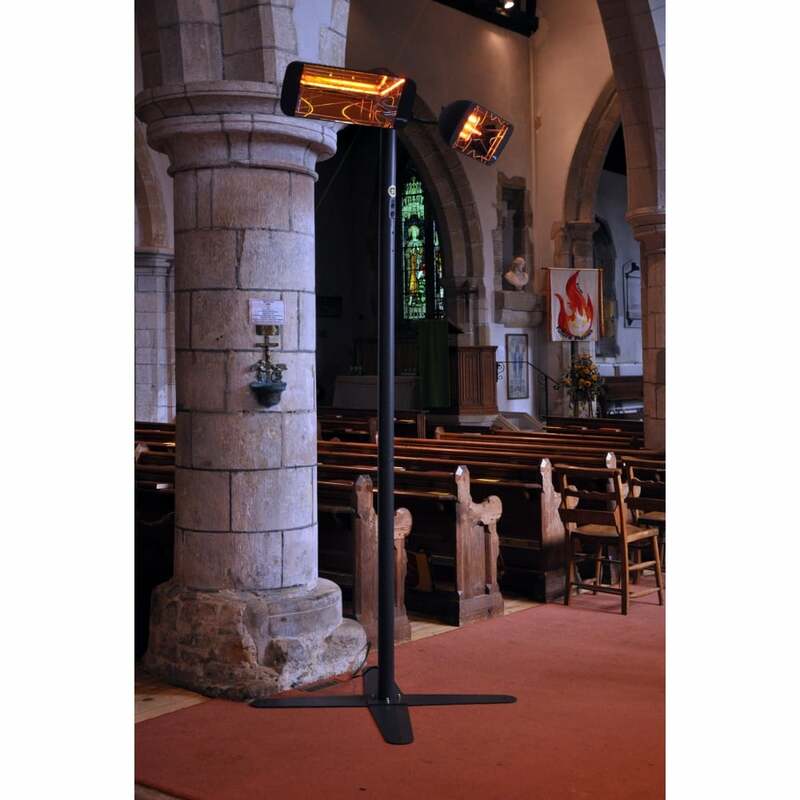 • Powerful 3kW radiant heater for use in churches and heritage buildings. 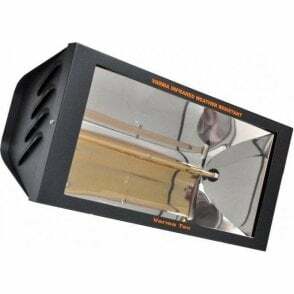 • AMBER LIGHT infrared elements - 80% reduced light output. 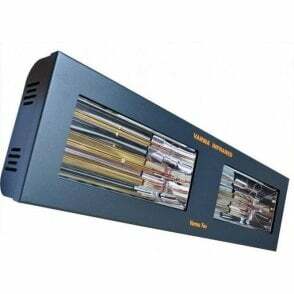 • Economical to run - shortwave infrared. 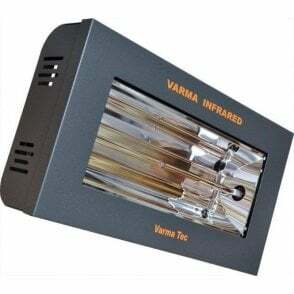 • Instantly warms an area up to 35 - 40 m². 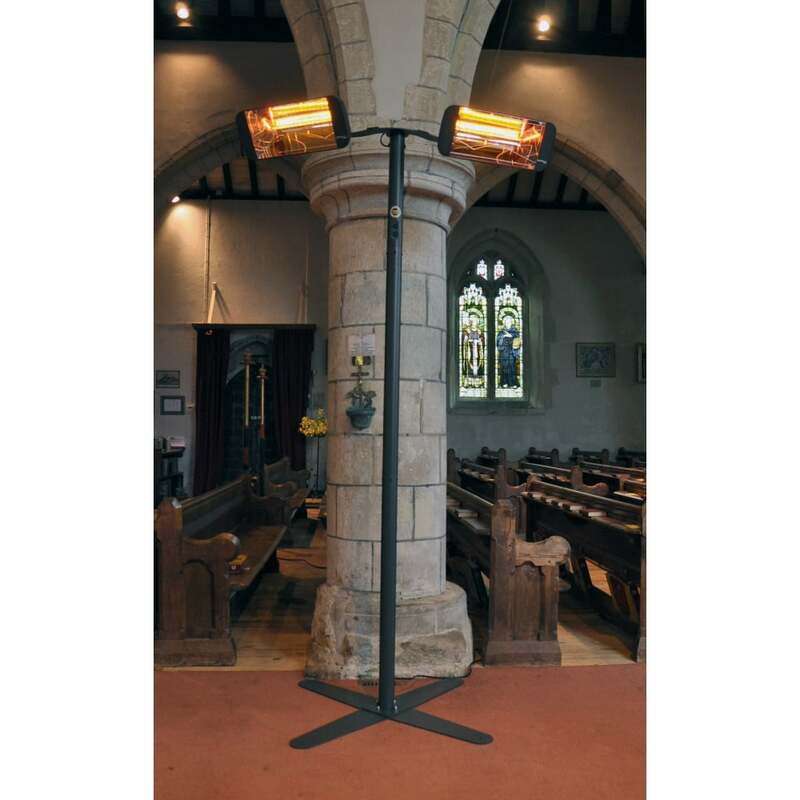 • Great for temporary use - meeting rooms, exhibitions, marquees. • High efficiency twin infrared emitters. 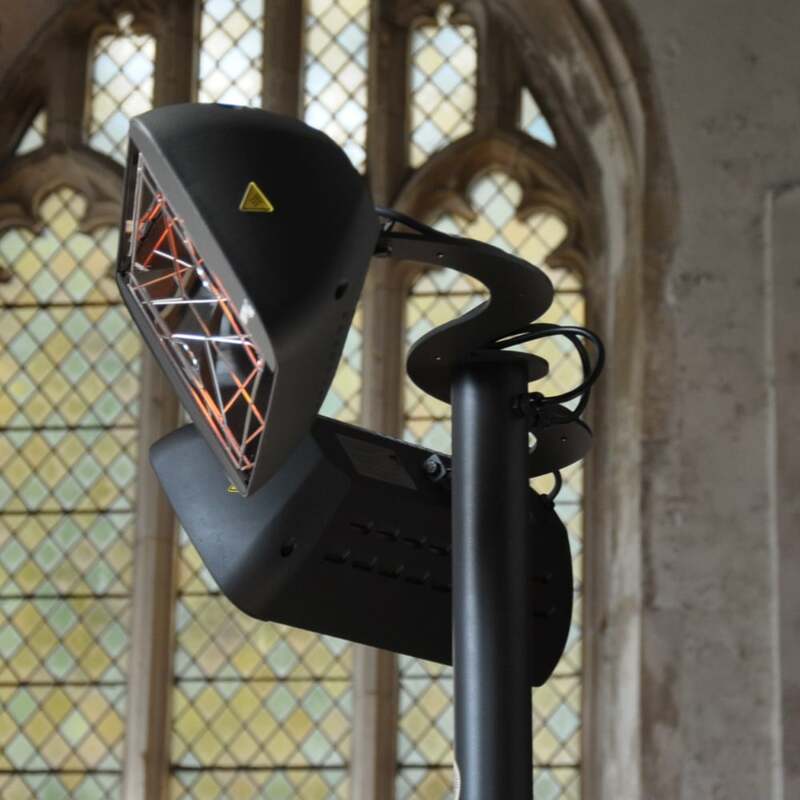 The Varma Tower heater is designed for use in churches, chapels and heritage buildings where fixing heaters to the walls or suspending them from the roof is not possible. 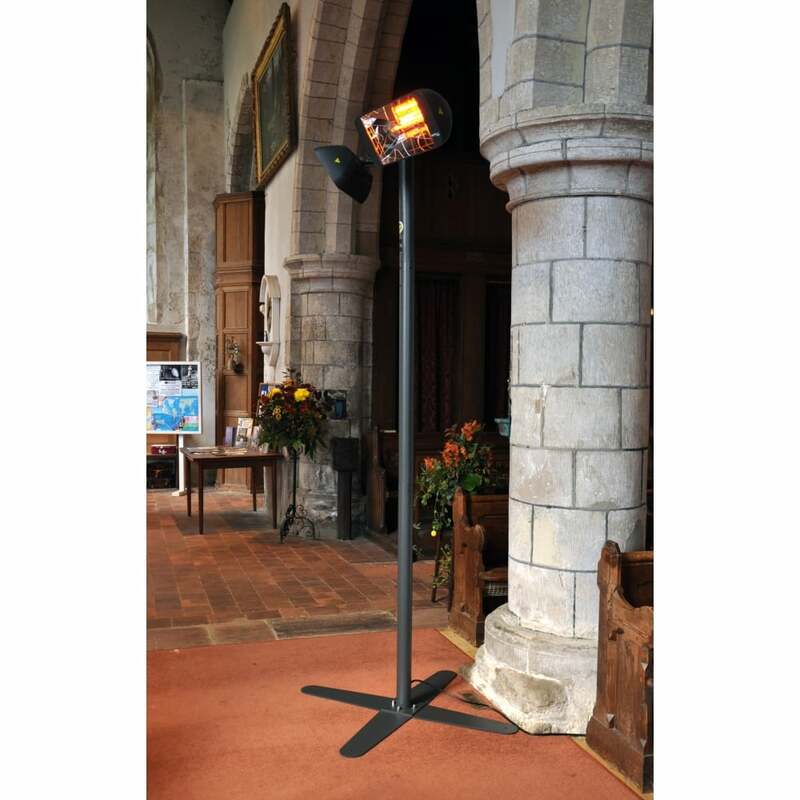 It is also ideal for temporary use where large areas need to be heated economically, e.g. exhibition halls and marquees. 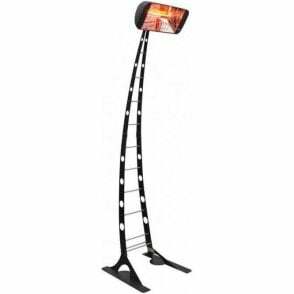 Varma Tower is much more substantial than other infrared heater and stand combinations at 2.5m high and will produce instantly a comfortably warm area of 35-40m² at an ambient air temperature of 8°C. All from just 3kW. 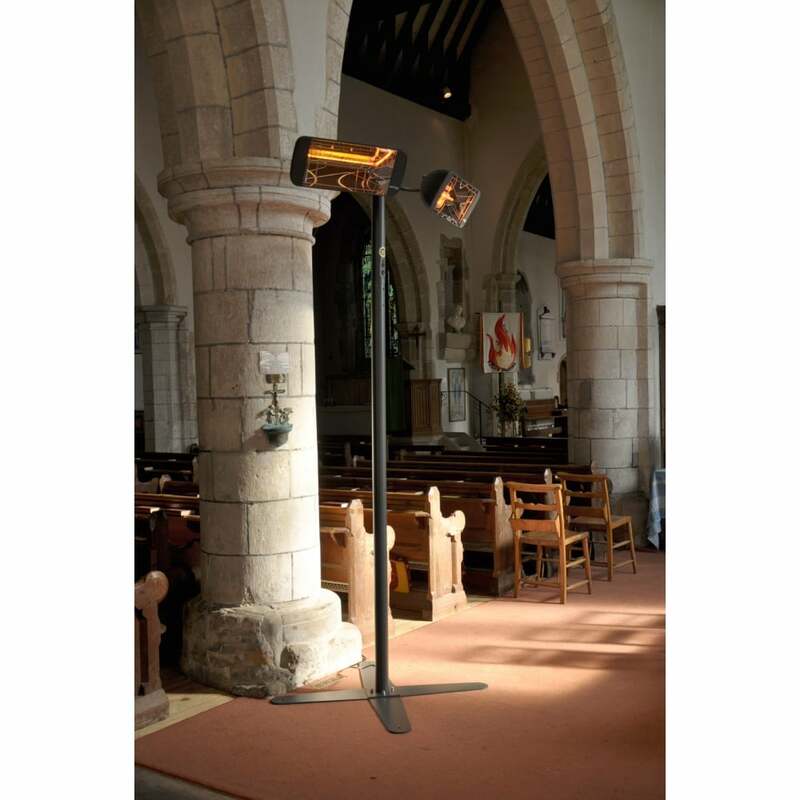 Supplied with a 6m lead and mains plug, and fitted with an anti-tilt safety cut-out switch. 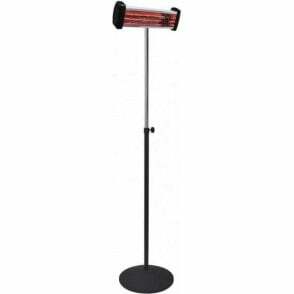 The two infrared heaters can be switched on and off independently as required. 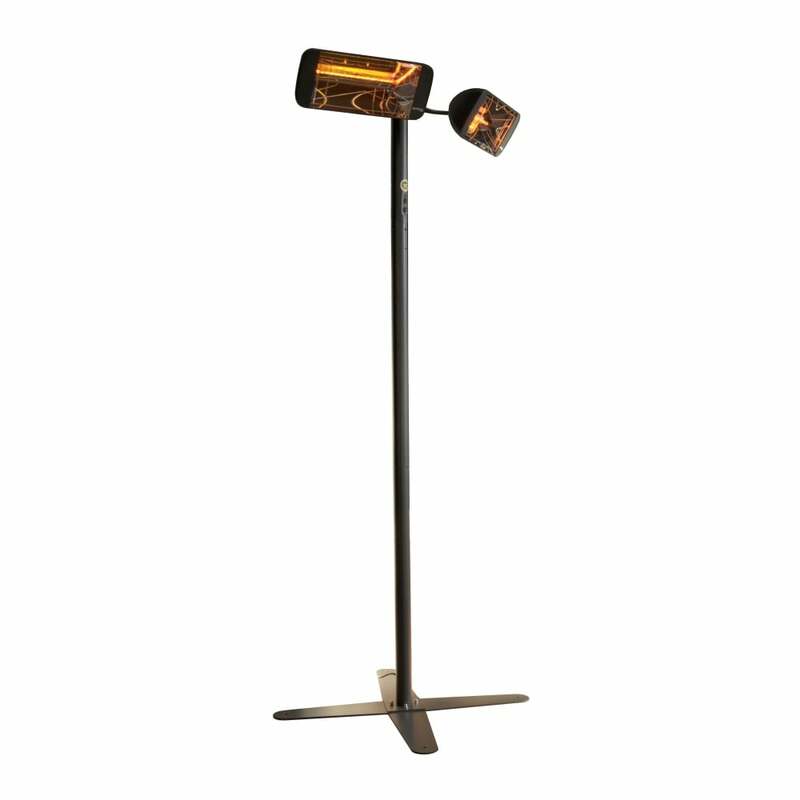 Features AMBER LIGHT infrared elements which produce 80% less light output than standard neutral density quartz halogen elements. 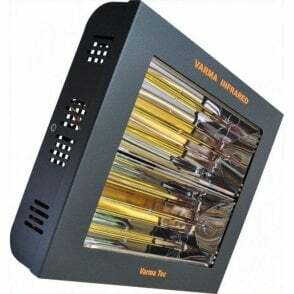 Heater dimensions: 51 x 21.5 x 16cm. Base dimensions: 70 x 82cm. 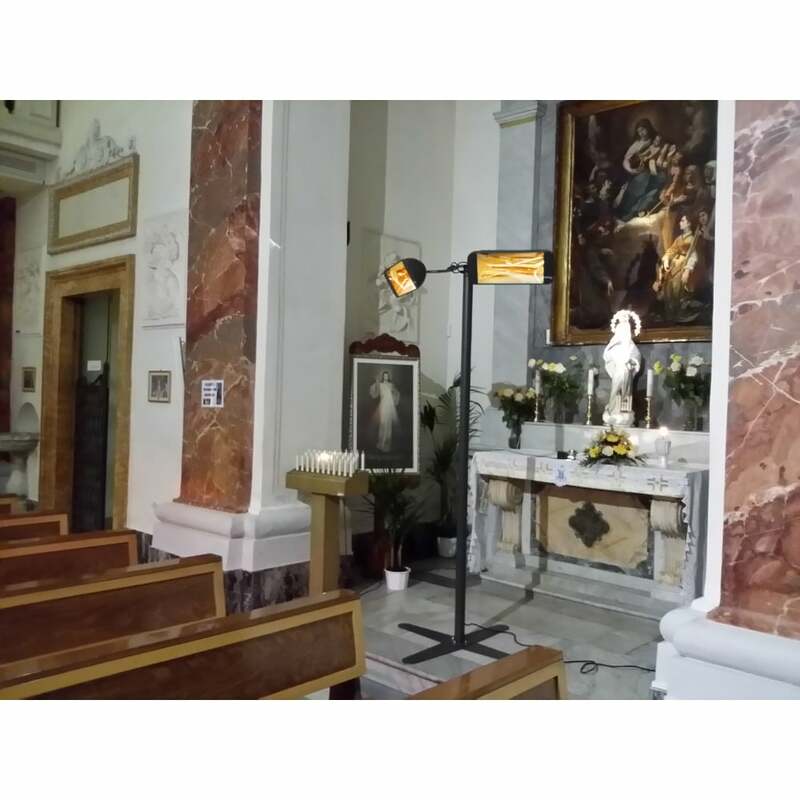 Environmental protection: IP20 (indoor use only). Material: powder coated mild steel stand with cast aluminium heater housings fitted with optical grade aluminium reflectors.